LEXINGTON, Ky. (Feb. 27, 2019) – Bethany Stephens, by all appearances, is a happy, healthy 12-year-old. She loves Harry Potter and spending time with her friends. But unlike most 12-year-olds, Bethany has the distinction of beating cancer. Bethany's journey started when she was five years old, and complained to her mother, Tracy, that she had a bellyache. Tracy noticed a small bump, "about the size of a clementine orange" on Bethany's abdomen. Tracy took Bethany to the Makenna David Pediatric Emergency Center at UK HealthCare's Albert B. Chandler Hospital. A series of tests revealed every parent's worst nightmare - Bethany had cancer. Wilms tumor, or nephroblastoma, is a type of cancer that starts in the kidneys. It's the most common type of kidney cancer found in children. Kidney cancers are unique because they can grow quite large without causing any pain or problems. Because kidneys are so deep in the body, tumors may not be detected in an exam. Most tumors are unilateral, meaning they only affect one kidney. Bethany's cancer was bilateral; both kidneys were affected. For Bethany's parents, it was a bombshell. "It was one of those life-defining moments for our family," said Tracy. "You think cancer, and you think death. But it was never even a thought for our doctors. They said, 'we can treat you.'" Two days later, Bethany and her family sat down with the doctors at the The DanceBlue Kentucky Children's Hospital Hematology/Oncology Clinic to outline her treatment plan. The tumor was growing at a tremendous rate. What was at first only a small bump grew to envelope her entire right side within a week. Her right kidney would have to be removed; but the surgery had to be delayed until after chemotherapy to keep the cancerous tumor in the left kidney from growing any larger. Bethany endured 12 rounds of chemotherapy which shrunk the tumor on the right kidney substantially and halted any further growth in the left kidney. Her right kidney was then removed, followed by six rounds of radiation and 12 more rounds of chemotherapy. This ensured the cancer was gone and almost all of the left kidney was still intact and functioning well. "The doctor must have spent two or three hours with us, answering every question, explaining Wilms tumor in detail, and that made all the difference in how we approached her treatment," said Tracy. "It took all the fear of the unknown away, and you just go through it." A reoccurrence of Wilms tumor is unlikely, but if it does return, it's usually within two years of the end of treatment. After five years without a reoccurrence, the patient is considered cancer-free. Four years and nine months later, Bethany's doctor felt a lump during a routine physical. The cancer had returned to Bethany's remaining kidney. "We went right back to the clinic," said Tracy. "It was like being right back with family again. We did it before, we can definitely do it again." "It is rare for a child to get cancer once," said Dr. John A. D'Orazio, interim chief of pediatric hematology and oncology. "It’s almost unheard of for a child to get cancer twice like Bethany did. Bethany is exceptional and inspirational because throughout both treatment courses she never lost her positive attitude. She simply refused to let cancer define her or bring her down. She and her family are models of how to deal with childhood cancer. It’s a great honor for us to be her oncology team." Because the cancer was caught early, Bethany's treatment was shorter. She only lost 20 percent of her remaining kidney. Tracy credits not only the clinic doctors and staff with Bethany's success, but the student groups that support the patient, their families and the clinic itself. The Danceblue Hemotology/Oncology Clinic is supported by the massive fundraising efforts of students of the University of Kentucky. Each year, students participate in DanceBlue a 24-hour dance marathon that raises money not only for the clinic facilities, but also funds research and supports patients and families. Since 2006, the marathon has raised $13.4 million. 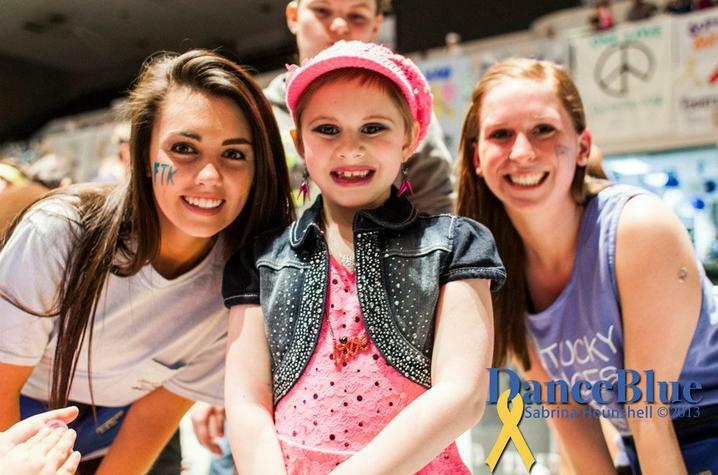 DanceBlue also connects student volunteers with patients and their families, and hosts a number of events throughout the year. Bethany was "adopted" by a student group who have taken her bowling and to the movies. 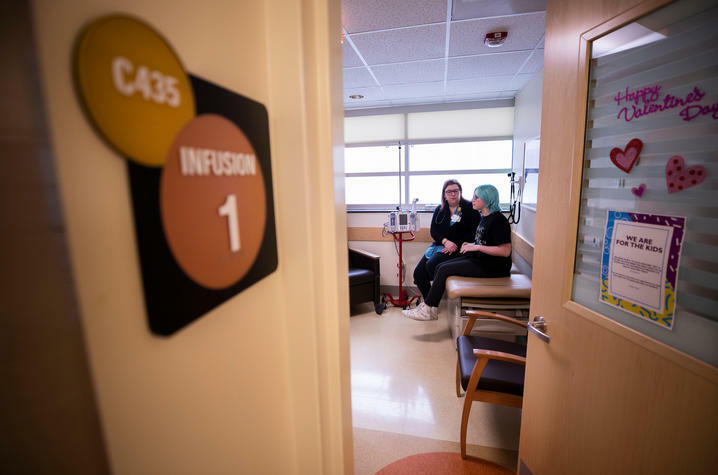 Through the clinic, Bethany and her family were connected to a number of resources including the Kids Cancer Alliance, a nonprofit that hosts a summer camp for kids with cancer. These resources, Tracy says, are invaluable to a family navigating the trials of cancer. "There's nothing more comforting than knowing you have so much support, and so many people rooting for you and so many people there to help," said Tracy. "We had lived in Lexington for not even a year. We didn't know anybody. But here we were welcomed, we were supported. It spoke volumes to being in Lexington and what a great community it is. I wouldn't want to be anywhere else." 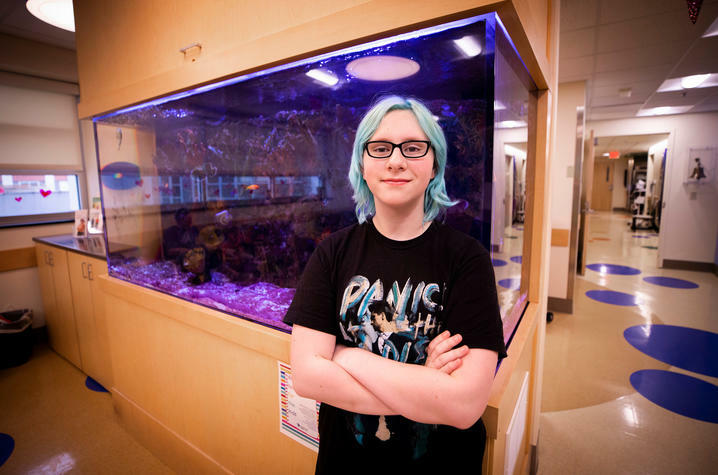 Bethany, now in the seventh grade, has been in remission for a year. She and her mother have taken up weightlifting together to build up Bethany’s strength. Bethany continues with her quarterly scans and will undergo scans for four more years. "We live our lives like normal and appreciate every day," said Tracy. "The second time cancer hit was really a shock because there were no warning signs like the first time. This told me that we have no control over what the future holds so we don’t dwell. We live and enjoy every moment." "Cancer is an awful thing but it gives you a lot of great traits," said Bethany. "Never give up, see the world in a better way. No matter how bad something can be, there is always a good side to it."